We all love the magic that is central heating in our homes. There are probably some who do not even know of a world without it! While no one is complaining about this cozy modern marvel, the good old fireplace has definitely taken a hit because of the tech leap. 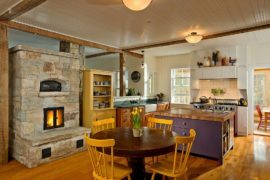 From poetic tales of Keats and Shelly to the plethora of modern novels, the warm and radiant hearth seems to be an integral part of our dream interiors. It is not too hard to understand why. Joyful and comfy, cozying next to a dreamy fireplace on a cold winter day evokes some pleasant and dreamy memories. 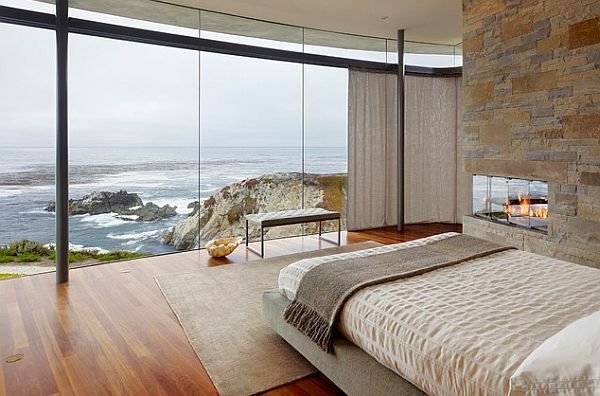 Stunning bedroom that amazes us every time we look at it! 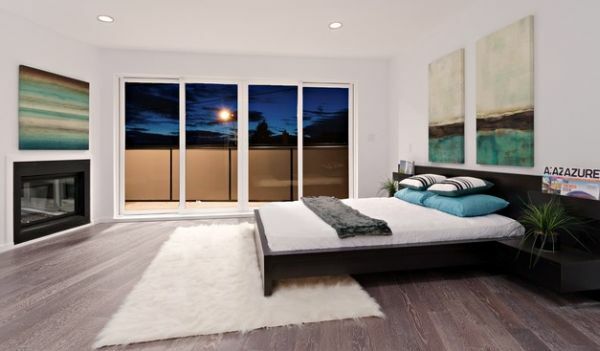 Modern design trend favors clean and well defined lines. 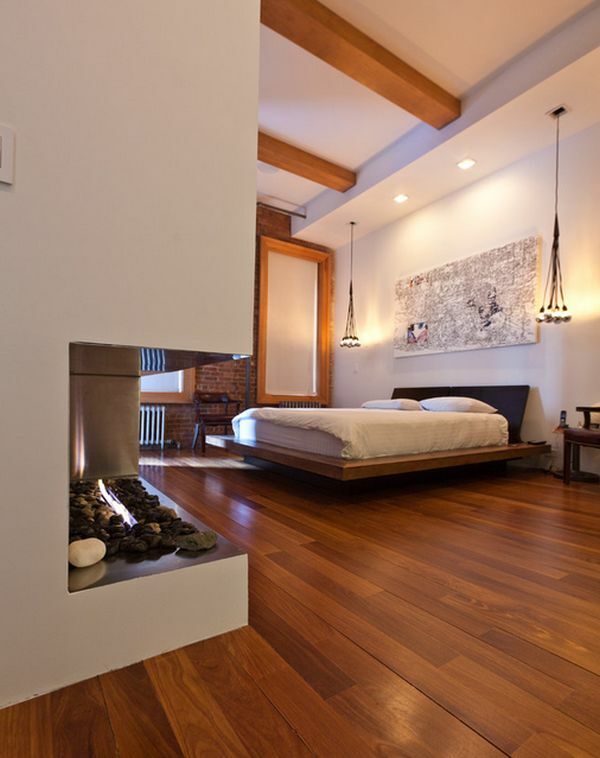 The same blueprint works beautifully for the fireplace in the bedroom as well. 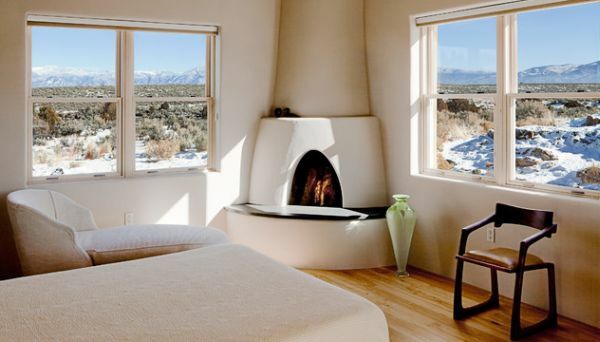 With designers now offering marvels like the hanging fireplace that looks like a spaceship from a sci-fi movie, the choices are simply endless. 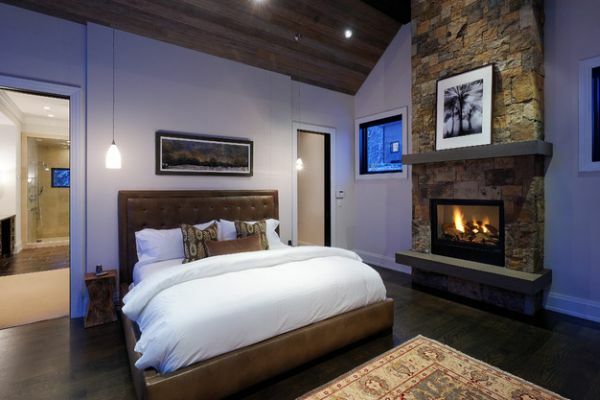 A lovely gas fireplace set in a stone wall also seems to bring together inviting warmth and modern panache. 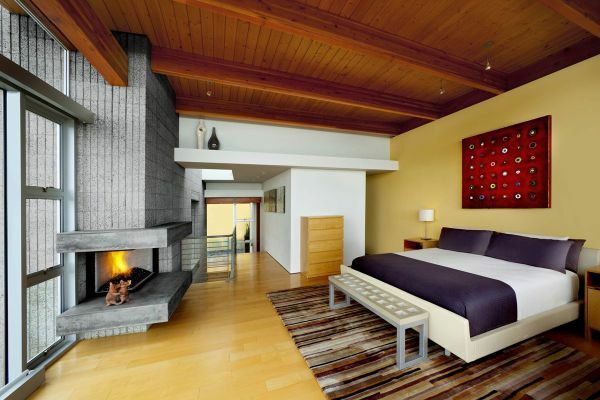 A fireplace need not always be front and center in order to become the focal point of the room. 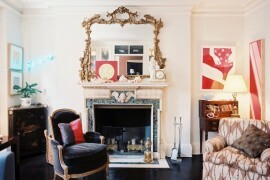 Corner fireplaces are equally appealing and tend to save up on precious space. 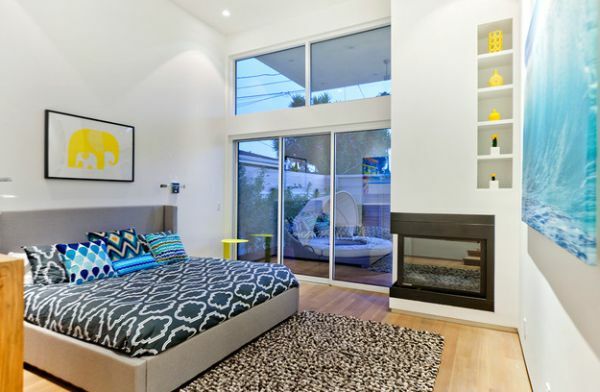 Futuristic FireOrb in the bedroom steals the show with ease! 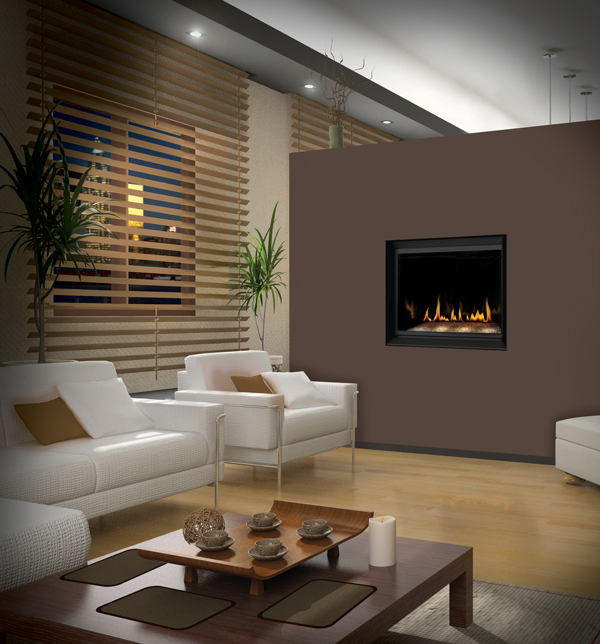 The trim style that surrounds the fireplace ultimately gives it that inimitable look. 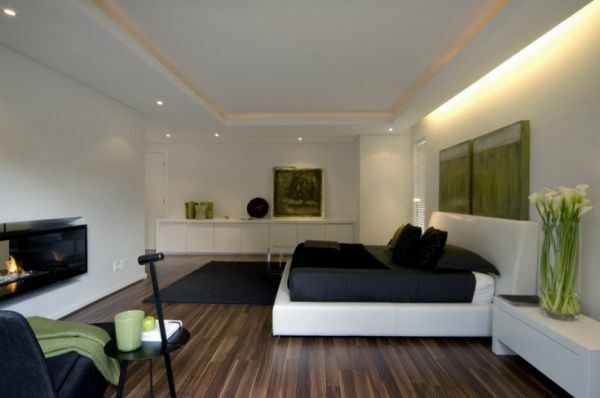 One can opt for limestone, marble, tile, chrome, glass or any other material to that perfectly fits the theme of your bedroom. 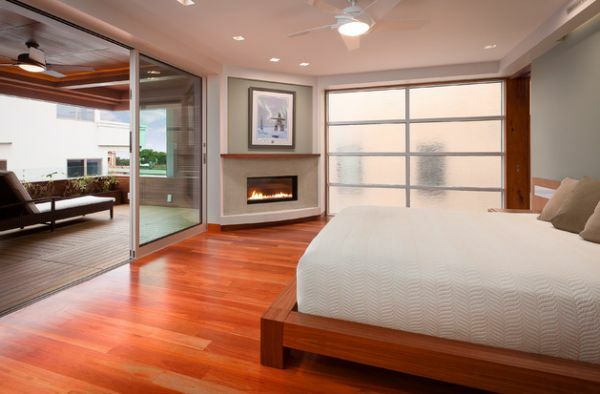 Most of the current designs also cater to those thinking adding the hearth to their bedroom as part of a renovation or remodeling project. Catch up on your favorite title before you doze off! 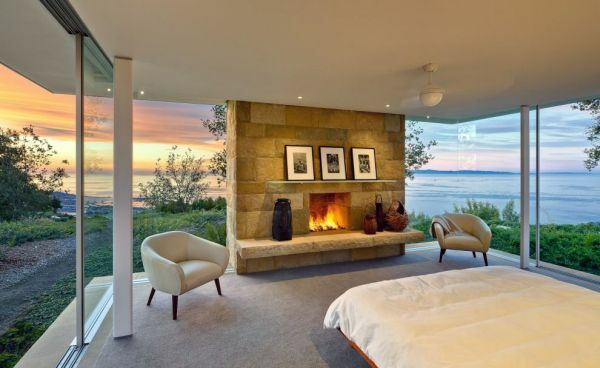 FireOrb fireplace in the bedroom – Hanging out in style! 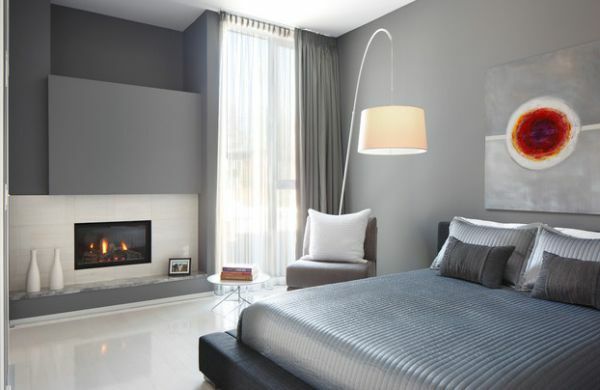 Placing the fireplace in the bedroom is a delicate task of finding the right balance between form and function. 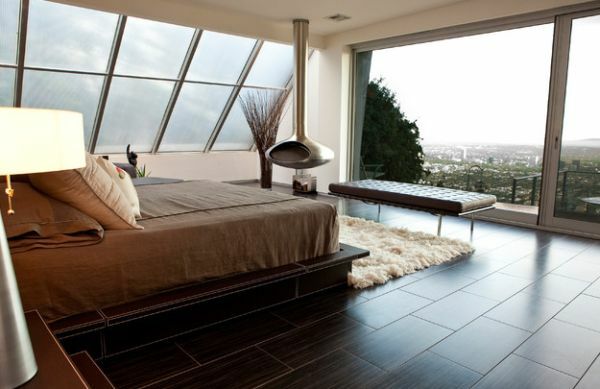 In case of the fireplace, visual appeal simply cannot take a backseat to sheer convenience. 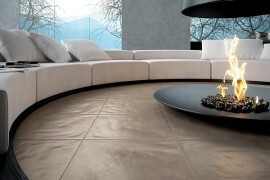 Make sure that you not only plan for the fireplace, but what goes around it as well. 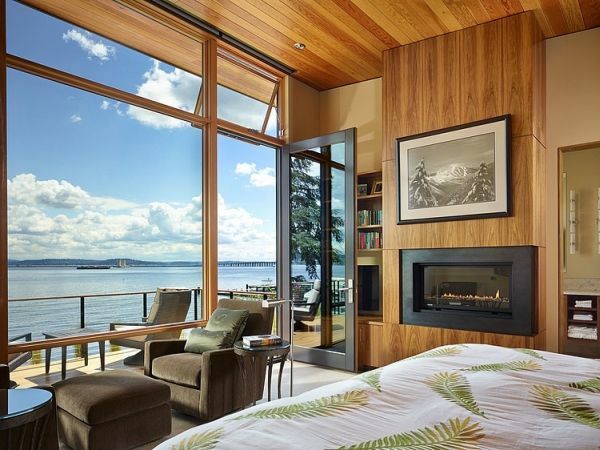 Some of the stunning bedrooms showcased here obviously have the luxury of an ocean view or a lush green canopy outside, to go along with the fireplace in the backdrop. All of us are not equally lucky. 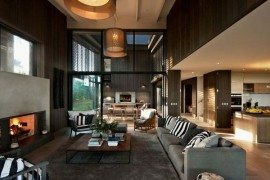 But you can still make the most of what is on offer by incorporating smart shelves, stylish cabinets and maybe even a cool little reading nook next to the fireplace. 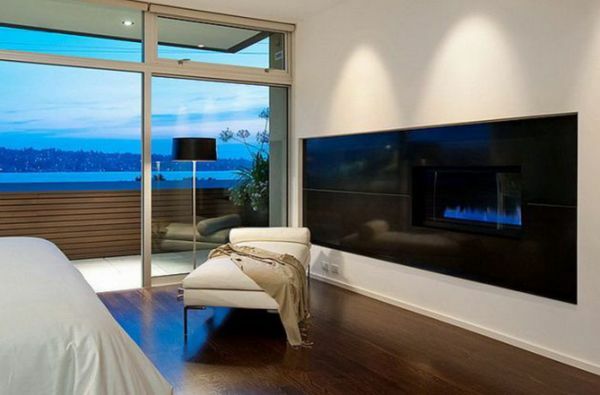 Placing the television above the fireplace is a trend that is gaining popularity. If you are planning on doing the same, do talk to an expert before getting started. 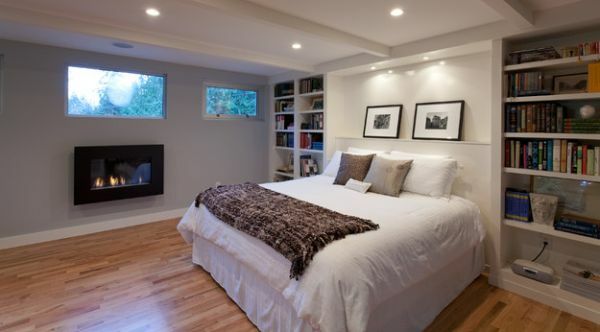 Small bedrooms can actually use the space around the fireplace for some floating shelves or elaborate cabinets that can double up as storage units. 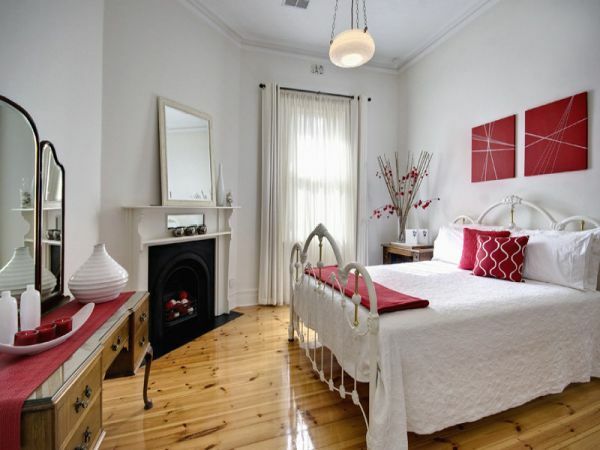 Fabric in red set against white goes along with the charming fireplace! Getting that Little Bit Extra! 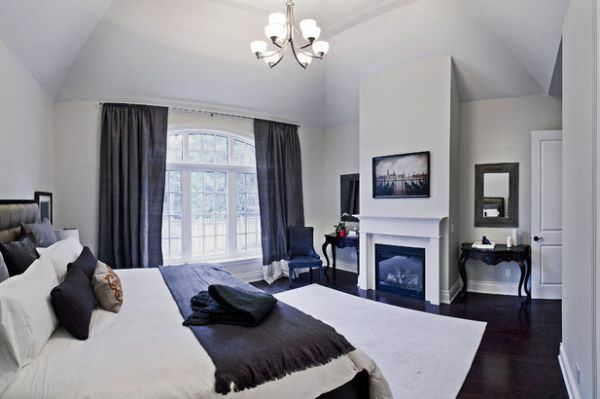 A fireplace in the master bedroom presents with ample opportunities to create an inventive atmosphere around it. With plenty of space on offer, the best thing to do would be adding a conversation area or a lounge-like setting with simple seating options. 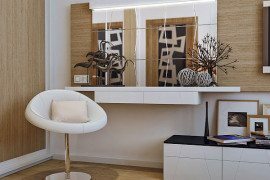 If you are cramped for a room then a stylish chair (maybe like the Womb chair or the Eames lounger) along with a cool floor lamp looks great as well. 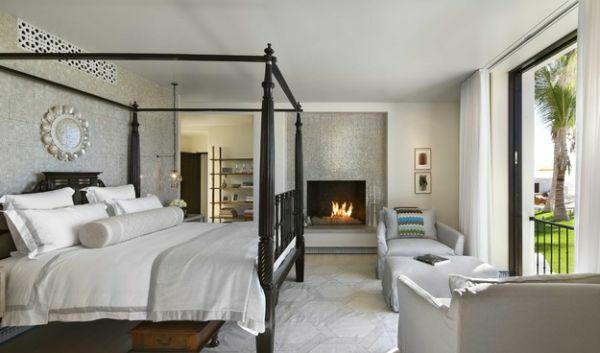 With double-sided fireplaces becoming pretty popular, it would be ideal if you can get the bed on one side and the sitting area on the other. 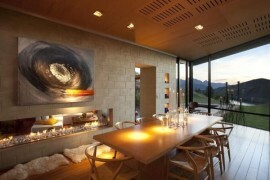 A fireplace is a very popular architectural element. 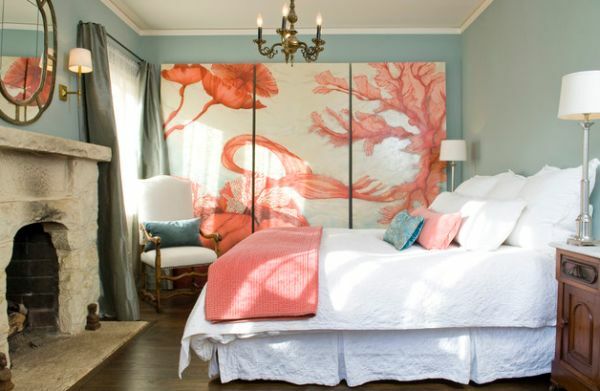 It can set the scale and mood within the room. But it is a lot more than the obvious. Once you have mantle and fireplace installed you do interesting accessories above or on the fireplace. These lend a whole different feel to the room when you’re done. 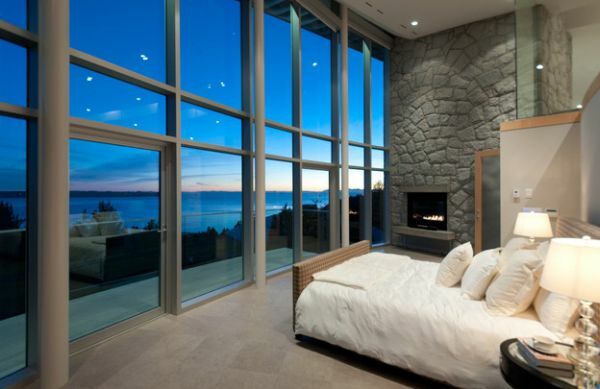 Sweeping views and stone fireplace blend brilliantly! 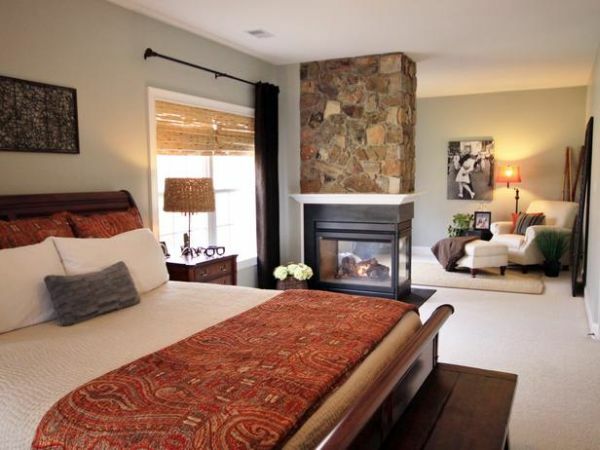 Throw in a four-poster bed along with the fireplace to complete the exotic getaway style! 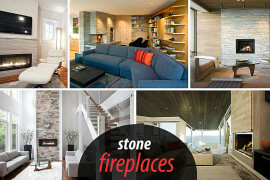 We are not sure if we can call the renewed interest in fireplaces as a comeback. But they definitely are more popular today than a few years ago. 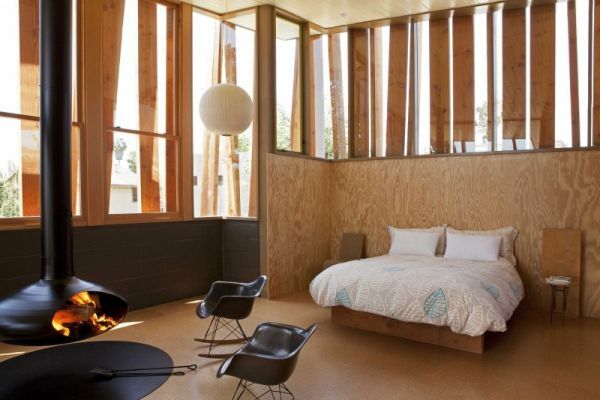 Creative architects and some amazing homes probably have inspired many to bring them back into their home. 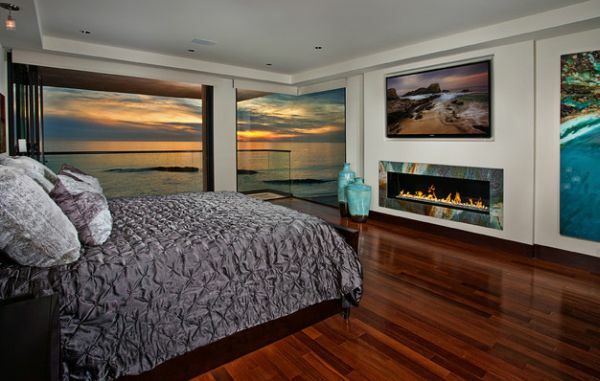 The bedroom fireplace is definitely worth incorporating just for the dazzling romance of it all. 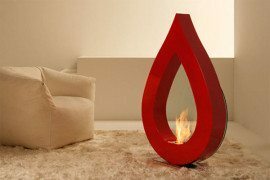 There is simply something about a burning flame that undeniably alluring! 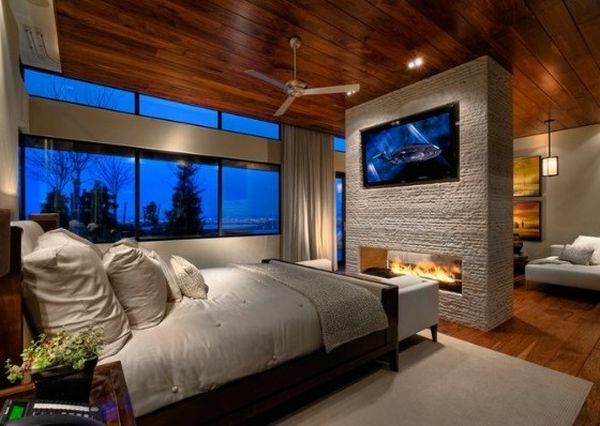 Bedroom fireplace dazzles with its blue allure!